As part of my personal grooming, I often go for brow threading and even lash extensions. However, i'm often bogged down by the fact that either my brows have some gaps in between (lack of hair growth) or having weaker lashes after prolonged lash extensions. 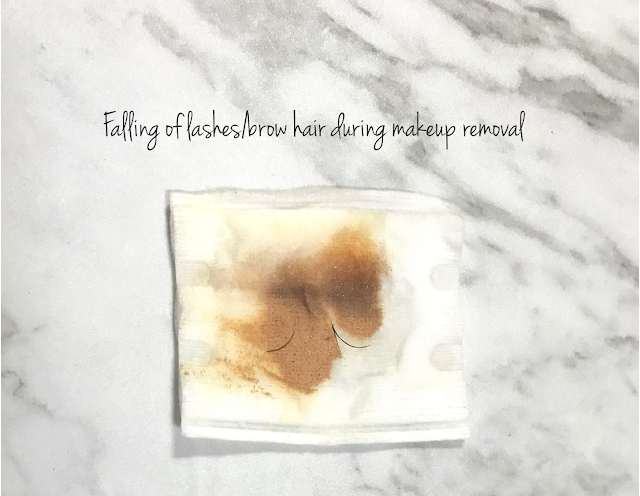 I'm sure many of you experienced the situation below a few weeks after your lash extensions where your natural lash hair falls off as well during the makeup removal process. 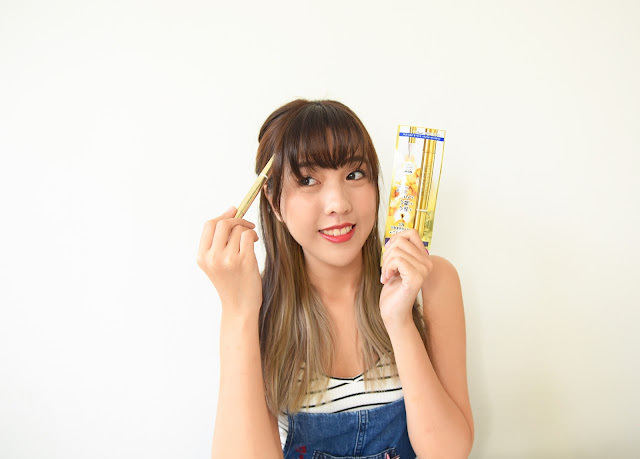 If you are like me, you would be really happy to find out about this new and awesome product from L'Oreal Makeup Designer Paris which will be launched in Singapore!!! Woohoo!!! Basically, what it does is to lengthen and thicken the hair fibers on lashes and brows, while also strengthening them to resist breakage. 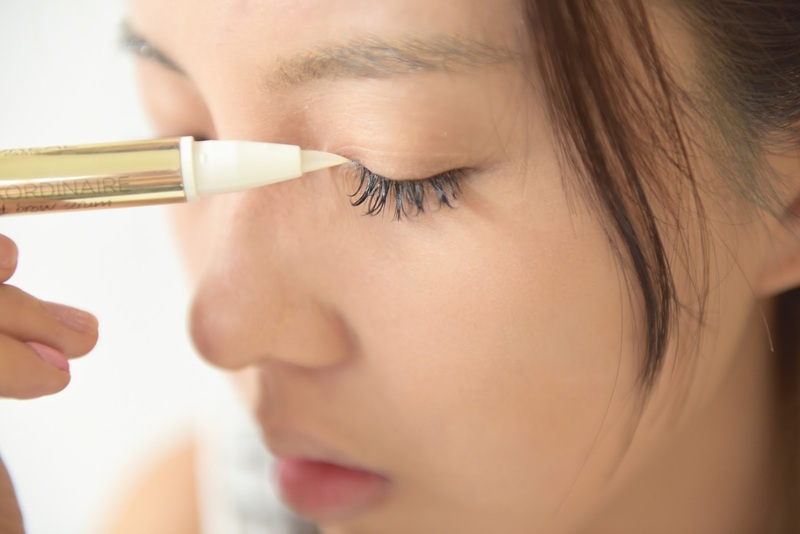 The current lash or brow serums in the market are often two separate products. Isn't this convenient and value for money? 2 products for the price of 1!! Hehe! Also, it comes with a brush tip which makes it very travel friendly! A lash serum which I owned previously did not come with a brush, I had to even buy a brush specially to apply it on :( So, more brownie points for this product!! 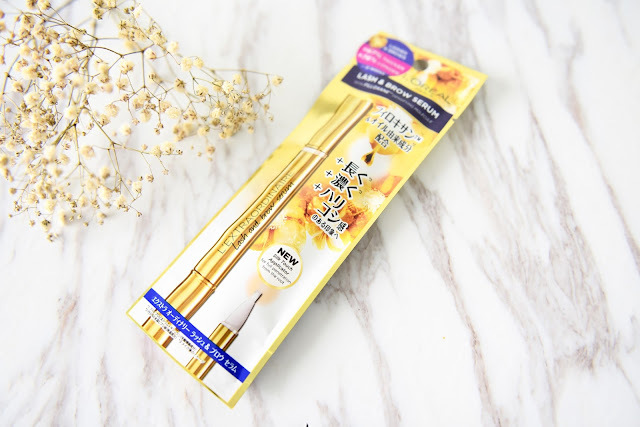 ^^ The silk touch applicator allows the product to penetrate your lashline and brow hair. The bristles feel soft and gentle on my brows and eyes area. Tests have been done on 30 Asian women and proven to THICKEN lashes/brow hair by 67% and LENGTHEN lashes/brow by 76%in 12 WEEKS! It is using the FilloxaneTM Technology (also used in L'Oreal's hair rejuvenation products) and nourishing Castor Oil as well as Arginine. Simply gently apply the serum along your lashline. And also, you will apply the serum on your brows, brushing against your brow hair. I love how the serum is not too rich especially for your eyes area as you do not want to risk getting infection or milia seeds. It was gentle enough for daily usage and the product does what it claims! After using it for a week so far, although I do not see significant hair growth (because I'm still having lash extensions on), I observe that when I remove my eye makeup not as much lashes fall off on the cotton pad, which is AWESOME! Lastly, i love the packaging of the lash & brow serum as it looks so luxe and easy to slip into my handbags. I'm loving it!! Definitely adding this to my beauty essentials. Hi dear, yes it did! Welcome to my blog! 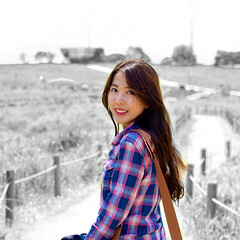 My name is Chloe and I am a hopeless romantic who loves photography and travelling. I love to share on travel, fashion, food, beauty, lifestyle and my cherished moments in this blog! All opinions on this blog are purely in my personal capacity and is de-linked from my formal work.